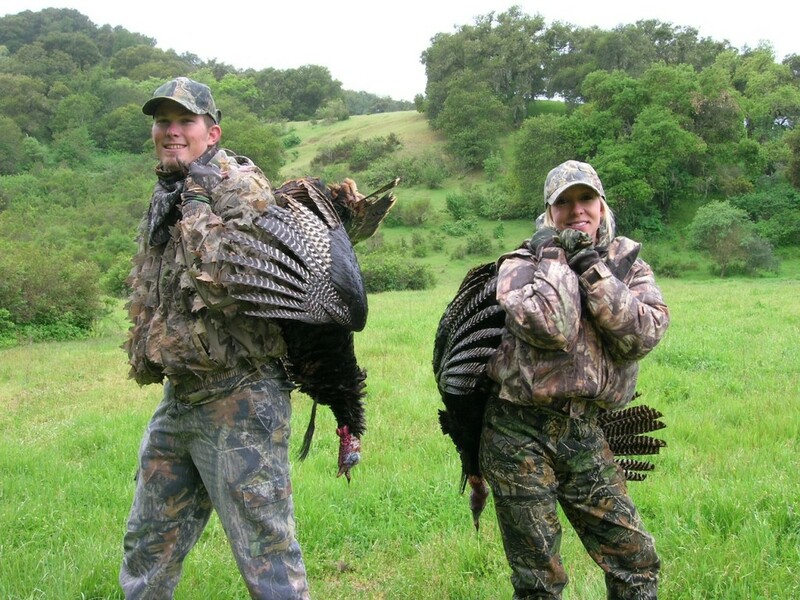 Our California Turkey hunts take place on private property in Central and Northern California. We offer guided hunts only. Our ranches have good numbers of turkey and offer a great day in the field trying to harvest one of these great and elusive game birds. Our guided hunts are for one day and include a Deli-Style lunch. You must have a current California hunting license and your current upland bird stamp. These hunts fill up fast so book early. We do a few fall hunts but mostly do spring hunts for turkey. We prefer 1-2 hunters per day maximum on guided hunts but on occasion can accommodate more. We also offer a two-day hunt that includes food and lodging giving you the opportunity to harvest two toms!